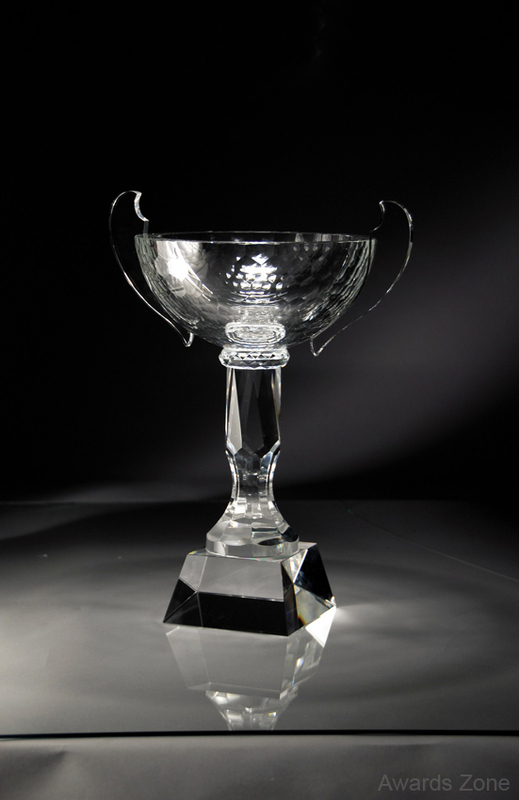 Prism Optical Crystal Cup with Handles and large crystal base. Come packaged in a deluxe velour lined presentation box. Available in three sizes, 6 1/4" x 9", 8 1/4" x 10", or 10 1/2" x 15".